Winter may surely be under foot a little bit longer. 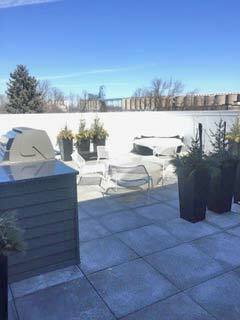 But let’s look forward to headier days to be spent on the spectacular rooftop patio at the all-new 3828. 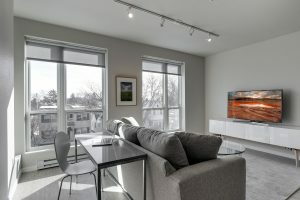 The sky-view outdoor space, connected by glass wall to the community room will be a welcome host to leisurely lounging and springtime grilling. It is one of the thoughtful details bringing liveable indoor and outdoor spaces to this first phase of a greater neighborhood hub. Stop by to experience 3828 for yourself. To schedule an appointment, please schedule an appointment online or call a leasing representative directly at 612-361-9881. Have friends and family coming to stay? Try 3828’s Airbnb! 3828’s latest amenity is the newly opened Airbnb unit in the building, aimed at providing beautiful and flexible accommodation to those visiting the neighborhood. Check out the link here – try it yourself, or consider it your “spare room” to put up friends and family. Lander Group – designer, developer, and placemaker of 38th Street Station (among many other beloved Minneapolis developments) – is itself calling 3828 home. Opened in February, part of 3828’s street-level commercial space serves as the company’s corporate offices. “We’re excited about being part of 38th Street Station and are committed to making this a thriving place to live and work,” said founder Michael Lander.